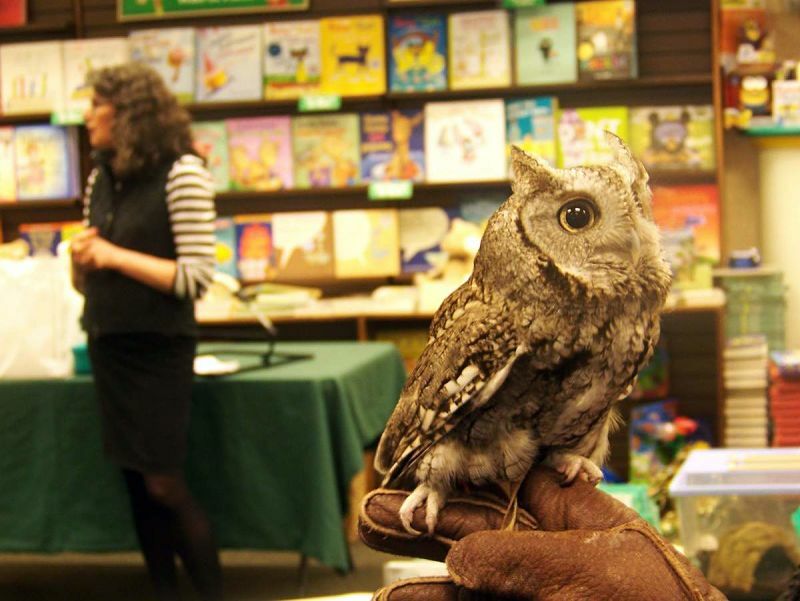 Koko, the Lloyd Center’s resident screech owl, made an appearance at the children’s section of Barnes & Noble. 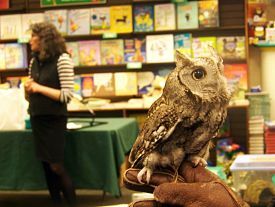 The Lloyd Center for the Environment staff brought a wild scene to the children’s section of Barnes & Noble Saturday afternoon. Turtles, mice, salamanders, toads and a screech owl named Koko were displayed during an outreach event for the nonprofit. The Lloyd Center, headquartered in Dartmouth, is dedicated to protecting and promoting natural habitats. “We want kids to see what kinds of wildlife is right here in people’s backyards and get them excited,” said Outreach Specialist Jen Wimmer. Wimmer explained that Saturday’s event was held in conjunction with a Lloyd Center fundraiser sponsored by Barnes & Noble. On Saturday, the bookseller donated a percentage of every purchase made by Lloyd Center supporters to the organization. Proceeds will help the center in two ways. First, those sales will underwrite the group’s environmental science programs. Second, Lloyd Center staff will be able to create a wish list of titles they want added to the organization’s library. Koko proved a popular draw, as many curious kids and adults arrived ready with questions. Wimmer said that screech owls, which make a high, whinny sound, are among the most common owls found in the region. She explained that an eye injury prevents Koko from being returned to the outdoors. Instead, she’s used to educate kids and adults. Koko, along with other Center critters such as Melvin the Mouse, are used by Lloyd Center staff for science programs held in schools Dartmouth, New Bedford, Fall River and across the state. The owl encounter was followed by other animal interactions, stories and a scavenger hunt. For more information on the Lloyd Center, visit lloydcenter.org or call 508-990-0505.